The SC Food Access Newsletter is a monthly newsletter featuring food access related policy updates, programs, news and events taking place throughout the state. View the most recent newsletter here. 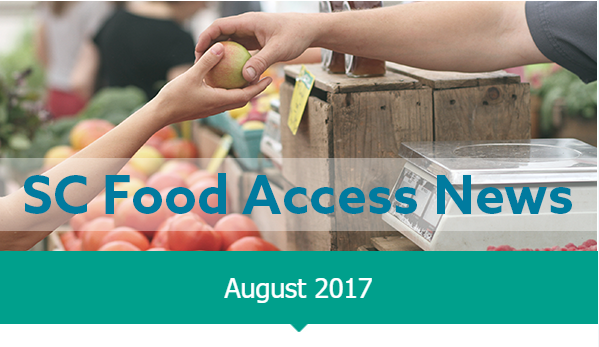 Subscribe to receive SCCLF’s monthly food access newsletter here.